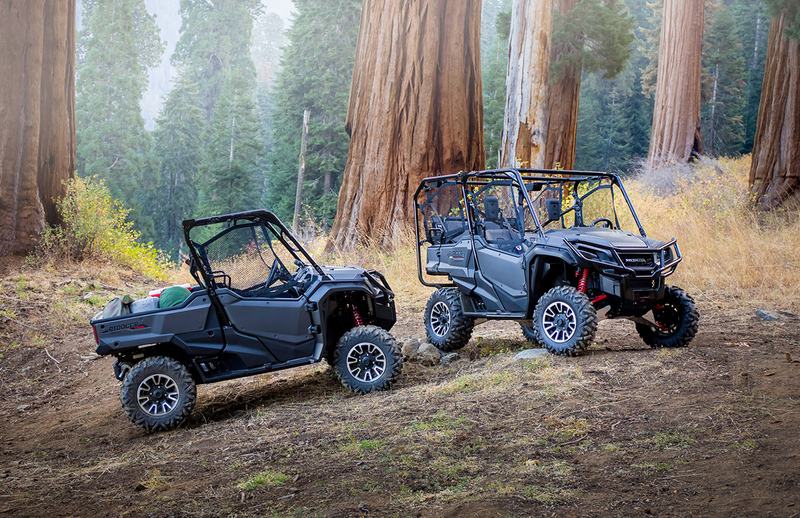 When you’re looking for a side by side that’ll take your off-road adventures to the next level, it’s time to invest in a Honda UTV. There are, of courses, several different options to choose from. Here at Mad City Powersports, we make it our goal to offer the best brands that continue to lead the industry with new and exciting innovation. Honda side by sides do all that and more. You’ll be able to reach places you never thought possible. Enjoy a plethora of features, such as electronic power steering so bumps are virtually nonexistent, paddle shifters so you can manually choose gears, and so much more. Don’t forget that Honda UTVs come equipped with heavy-duty receiver-style hitching for an incredible hauling and towing capacity. If you’re ready to check out these beastly machines for yourself, stop by Mad City Powersports today! We’re conveniently located near Madison, and Portage WI, in Deforest. Our helpful staff is ready and willing to assist you with any questions you might have when deciding which Honda side by side is right for you. We can also help with any of your marine, parts, service, and storage needs. Of course, we can discuss financing options to put your mind at ease.